Thanks herby/kennetho. I wish I had your memory. 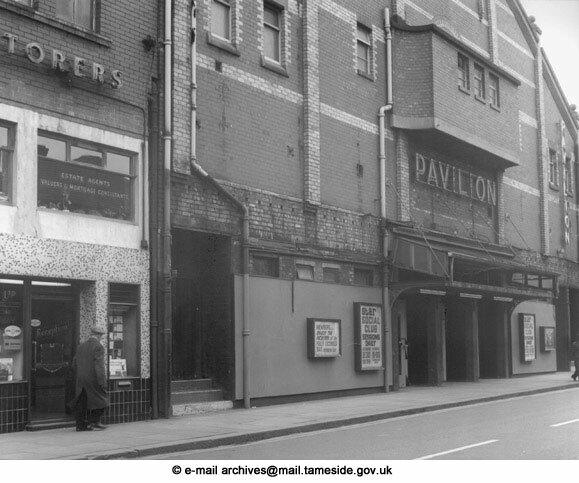 I've had a look on the Tameside site and can only find one decent photo of the Pavilion as was - this one. I can only find the one. Hi All, Hi Bill, That's the place. 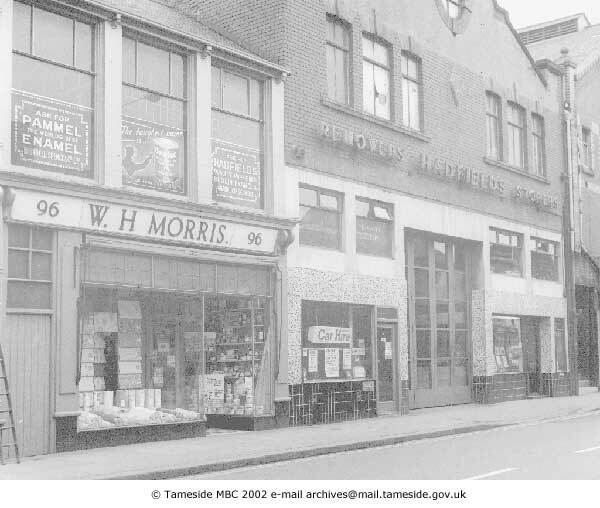 They moved in '66 to the Corner of Oldham Road and Wellington road. They had a petrol station and car showroom which sold Hillman car's and three big service bay's for their fleet of Pantechnicon's and Dodge trucks. Is this the bridge on cavindish street always thought it was called "alma bridge"
Growing up in the Dukinfield of the 40s and 50s, this was always known as County Bridge. When I was about seven or eight, a young couple were in car which careered round the bend, mounted the pavement and went straight through the metal railings before ending up in the river. Can't remember the outcome but it was talked about as if it was a fatality. No doubt it would have been plastered over the front page of the Reporter at the time. Another great picture featuring an iconic Ashton Landmark. I'll echo that, well done Bill. I wanted to get the church in the background and was pleased that the clock appeared in the picture. One nice touch in our patch was the bobbies on bikes holding out their hand for the youngsters to touch. All in all, a great atmosphere and an event to remember. P.S. Vanessa, I enjoyed your video. How much did it cost you to get them to do a pit stop in front of you? Our runner whizzed past. I'd been stood on that spot for 45 minutes, I couldn't believe it when they did a change over in front of me, I expected to get a lot of film of backs of heads and a runner whizzing by so I was chuffed when that happened.